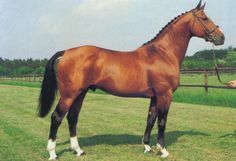 The French Saddle Pony was developed in France, and is still a popular choice of the pony lovers. These equines were primarily designed to become good riding ponies for young people, especially in schools for children. 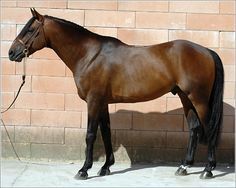 They are excellent at jumping, galloping, and are able to hold their riders even when they are moving at high speed. 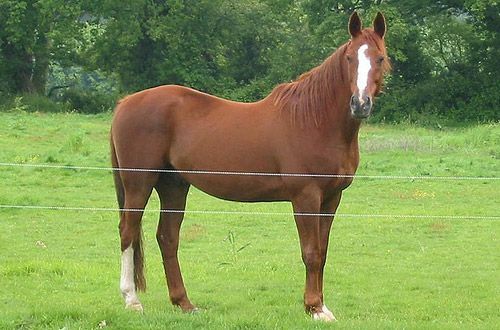 The French Saddle Pony fills a role similar to the German riding pony and the British Riding Pony. 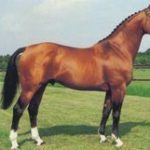 Feeding/Diet Normal equine diet including hay, grass, grains, etc. 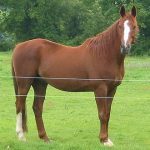 These ponies were developed from a cross between local French pony mares with the Arabian horse, the Connemara horse, or Welsh stallions. However, the bloods of several other larger native equines were also mixed in the long run. 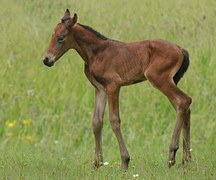 In fact, the main aim of the breeders was to find out new ways to modify the native breeds into sturdy saddle ponies. 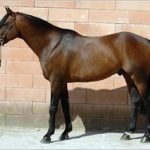 It was in 1969 that the ‘Association Française du Poney de Croisement’ (French Association of Cross-bred Ponies) started the breeding program for the development of the French Saddles. Initially, the association considered creating and promoting a French Sport Pony under the name Poney de Croisement (Cross-bred Pony). In 1972, a stud book for this new breed eventually came into existence. Later, in 1991 the association closed the registry for equines from outside blood. 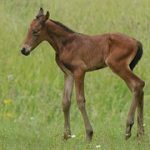 During this time, they also renamed the breed as ‘Poney Français de Selle’. In France, the biggest breeding areas of this breed at present are Mayenne, Normandy and Brittany. Many riding schools in France use French Saddle Ponies for novice riders.